Summer blockbusters are usually associated with the film industry, but Freeverse is releasing some quality entertainment media for the iPhone during this year’s hottest season. From sports games to advanced strategy simulations, Freeverse is pushing the iPhone platform into new and exciting directions. Warp Gate features space flight and combat. Warp Gate is a third person flight space simulator game. With the flick of your finger, you can set your space ship flying through the map and watch as it automatically engages enemy ships. The goal is to dominate the universe through trade, military might, and other tactical methods. 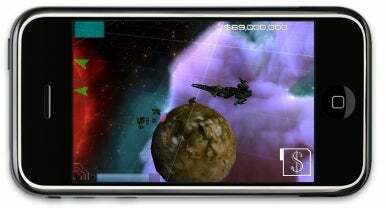 Taking full advantage of iPhone OS 3.0’s downloadable content abilities, there will be different content you can purchase to augment your ship and your mission. During the demonstration, I was able to quickly purchase an improved battle cruiser to deal with the bullying battleships harassing my initial flyer. As you progress, you’ll be able to unlock additional areas to explore, upgrade your ship, and defend your territory. Warp Gate is due out by the end of June. The makers of Flick Basketball and Flick Bowling are now offering a new title in the Flick series of games, Flick Baseball. Though the game lacks MLB licensing rights, Flick Baseball focuses on delivering a quality and realistic baseball experience. You can choose from one of 35 original teams or you can even create your own team and populate it with players of your choosing. Instead of only providing different mini games a la Flick Basketball, Flick Baseball is a full game complete with stats, teams, pitching, fielding, and hitting. As a pitcher, you’ll be able to select pitches and their location and then time the throwing reticule correctly to achieve maximum speed. If your opponent hits the ball, the same timed reticule appears in glove form to determine if you’ll field the ball in time. The interface is simple and easy to pick up. Hitting is more challenging, but also more rewarding. You’ll have to time your hitting and also flick your finger in the appropriate direction you want the ball to go. Even given the narrow margin of error, the game is plenty easy to pick up and just play. Look for this exciting title later this summer. Squad-based strategy gets a dose of humor in this new game. Warpack Gruntz is a cartoonish squad-based strategy game again developed in collaboration with Strange Flavour. 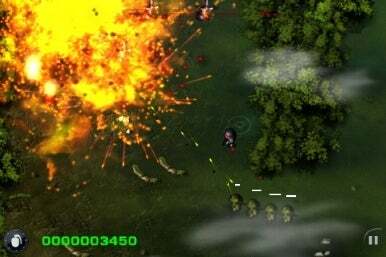 You’re in command initially of a squad of four soldiers and must guide the highly disciplined unit through various obstacles and to accomplish challenging objectives (read here: blow stuff up). The satirically mirthful Warpack Gruntz (featuring an enemy called “Evil Dude”) will be on the lower end of the price scale, but will still deliver deep content. There are over forty levels of gameplay that range from swamps to jungles to reinforced enemy bases. You’ll be able to get powerups like grenades, sniper rifles, helicopters, and bazookas. The multiplayer features will include a global leaderboard. Updates will also be frequent to Gruntz, including perhaps a make your own map feature. “Trackz” is for the hobby train enthusiast or train fan nostalgic for Shining Time Station. To be released in a couple of weeks, the game is designed with the iPhone 3.0’s new features in mind. Developed with Freeverse's European partner Strange Flavour around technology Strange Flavour originally developed for their slot-racing game Slotz, Trackz will offer players the ability to convert the finer aspects of the train hobby to a three dimensional environment. During the demo, the camera controls were easily manipulated by the touchscreen and using the brakes was as simple as a click of a button. Different tracks can be downloaded to further enrich the experience through $.99 content packs. Strange Flavour worked closely with model train enthusiasts to capture the authentic feel and look of real trains from bygone eras. There are also several “shunting” puzzles that require the player to move around train cars and manipulate train switches according to a given task.